There are 11 Assisted Living Facilities in the Hurricane area, with 5 in Hurricane and 6 nearby. The average cost of assisted living in Hurricane is $4,150 per month. This is higher than the national median of $3,346. Cheaper nearby regions include Scott Depot with an average starting cost of $3,995. To help you with your search, browse the 22 reviews below for assisted living facilities in Hurricane. On average, consumers rate assisted living in Hurricane 4.7 out of 5 stars. Better rated regions include Scott Depot with an average rating of 5.0 out of 5 stars. Caring.com has helped thousands of families find high-quality senior care. To speak with one of our Family Advisors about assisted living options and costs in Hurricane, call (855) 863-8283. The town of Hurricane is considered part of Putnam County, West Virginia and is known for having peaceful, scenic attractions such as the Hurricane City Park, local music events and the Caboose Museum. Seniors may enjoy outings in this locale with peers from one of the five assisted living facilities in Hurricane or six others in nearby communities. These are all monitored by the Department of Health and Human Resources (DHHR), Office of Health Facilities Licensure and Certification (OHFLAC) to ensure residents receive the highest quality of care possible. Seniors living in Hurricane have a lower cost of living compared to the national average of 100, with the town ranking a 90 in overall expenses. Locals living on a limited income could benefit from the significantly decreased health care expenses and grocery bills, while only paying slightly higher utilities in comparison to other neighborhoods in the country. Cold, dry winters are prevalent in the Hurricane area. Seniors should consider staying indoors during January, where hazardous cold fronts can drop temperatures to as low as 11 degrees Fahrenheit. Seniors may also enjoy the warm summer weather, which has average temperatures between 75 degrees Fahrenheit and 86 degrees Fahrenheit. Residents in Hurricane can enjoy fresh air on a regular basis. The city has an air quality index that's 31 percent better than the national average, and a pollution index that's 81 percent better than the U.S. average. Seniors worried about their safety can appreciate Hurricane's low crime rates. The city's overall crime rate is 52 percent lower than the national average, making it safer than 63 percent of the cities in the United States. The Hurricane area is home to world-class medical facilities, including CAMC Tears Valley Hospital and Putnam General Hospital, in the event of medical emergencies or illness. Hurricane has an array of community resources for seniors, including the John Henson Senior Center, an organization that provides health screenings, trips, and social interaction to resident seniors in the area. Assisted Living costs in Hurricane start around $4,150 per month on average, while the nationwide average cost of assisted living is $4,000 per month, according to the latest figures from Genworth’s Cost of Care Survey. It’s important to note that assisted living rates in Hurricane and the surrounding suburbs can vary widely based on factors such as location, the level of care needed, apartment size and the types of amenities offered at each community. The city of Hurricane offers minimal aid to seniors in assisted care, but some residents may qualify for the special needs circumstance waiver or Supplemental Security Income (SSI) program. Hurricane West and the surrounding area are home to numerous government agencies and non-profit organizations offering help for seniors searching for or currently residing in an assisted living community. These organizations can also provide assistance in a number of other eldercare services such as geriatric care management, elder law advice, estate planning, finding home care and health and wellness programs. To see a list of free assisted living resources in Hurricane West, please visit our Assisted Living in West Virginia page. 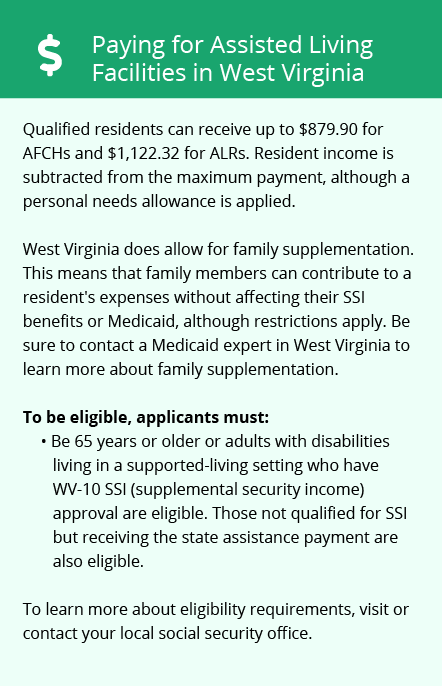 Hurricane West-area assisted living communities must adhere to the comprehensive set of state laws and regulations that all assisted living communities in West Virginia are required to follow. 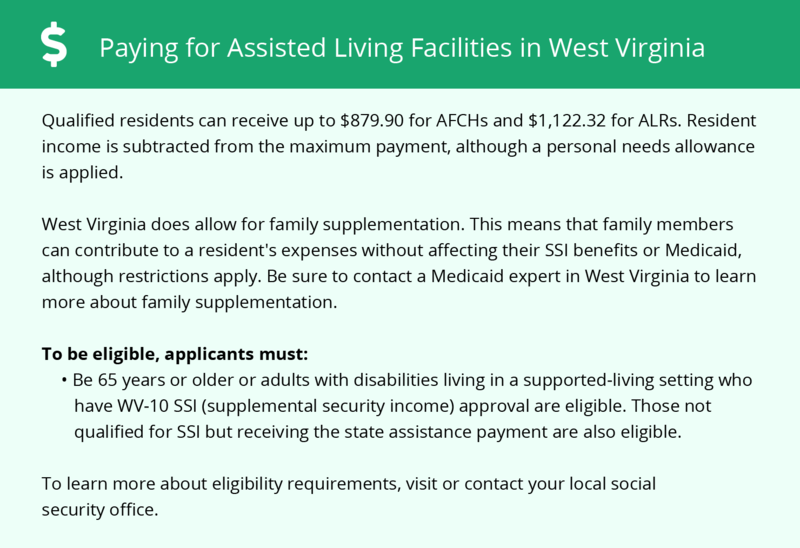 Visit our Assisted Living in West Virginia page for more information about these laws.